The spectacular golf resort that exists today at Bandon Dunes was built upon the success of its first course of the same name. 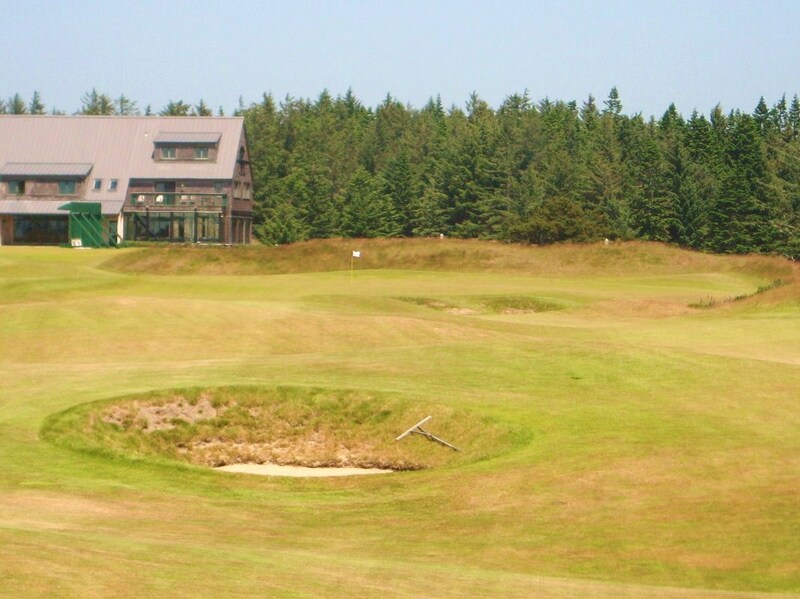 Bandon Dunes redefined links golf in North America and, along with Sand Hills, helped spark the golf architecture renaissance of the past decade. 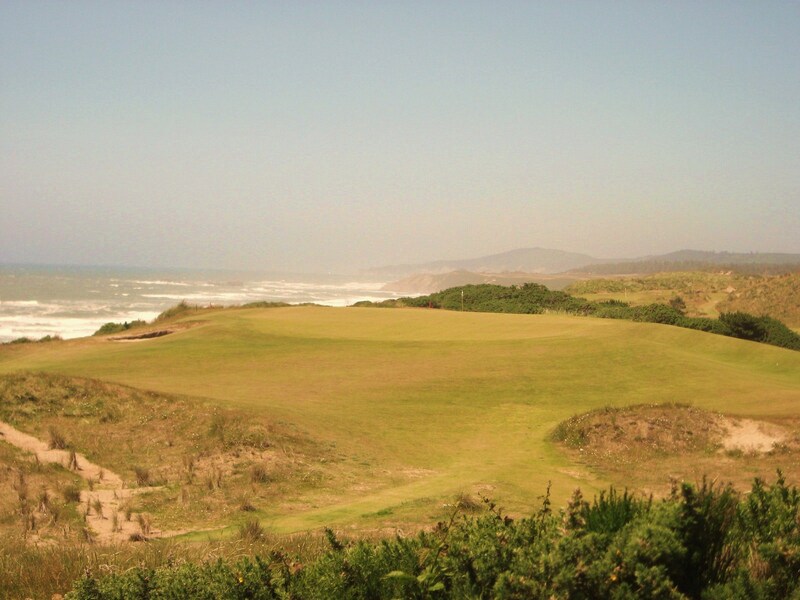 Mike Keiser decided against using any of the “famous” architects of the time, such as Fazio or Nicklaus, for Bandon Dunes. Instead, he selected a young Scot named David McLay Kidd to build his first, and most important, course. 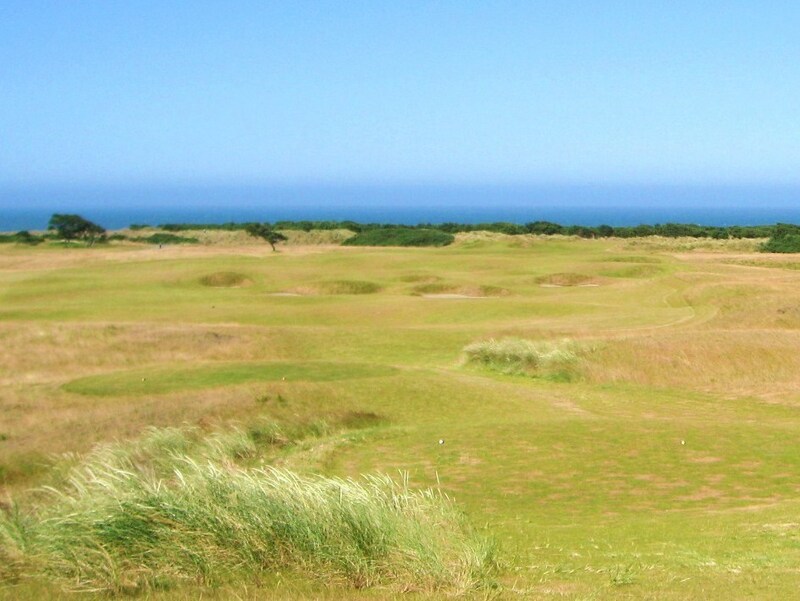 If Bandon Dunes had not been great, then the other courses would never have been built. 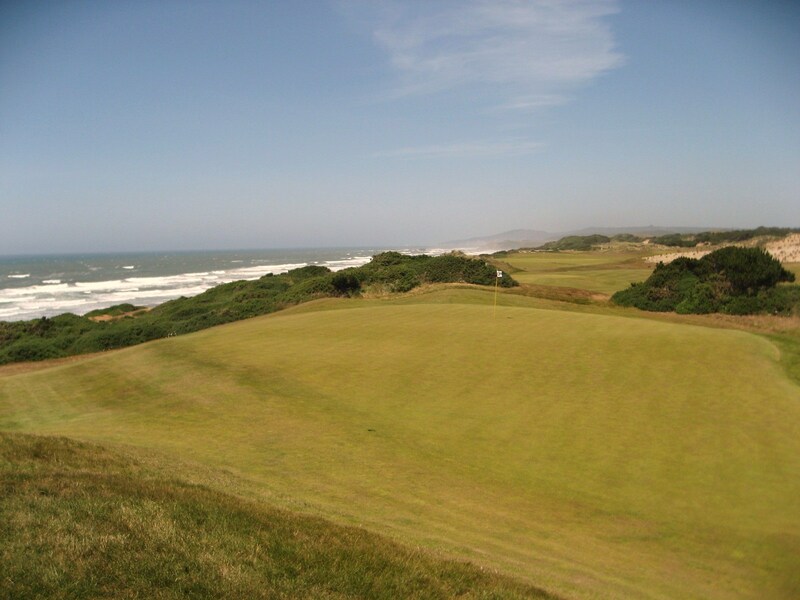 The discovery, development and construction of Bandon Dunes has been well documented in Stephen Goodwin’s “Dream Golf”, if you are interested in learning more about the early history of the resort. 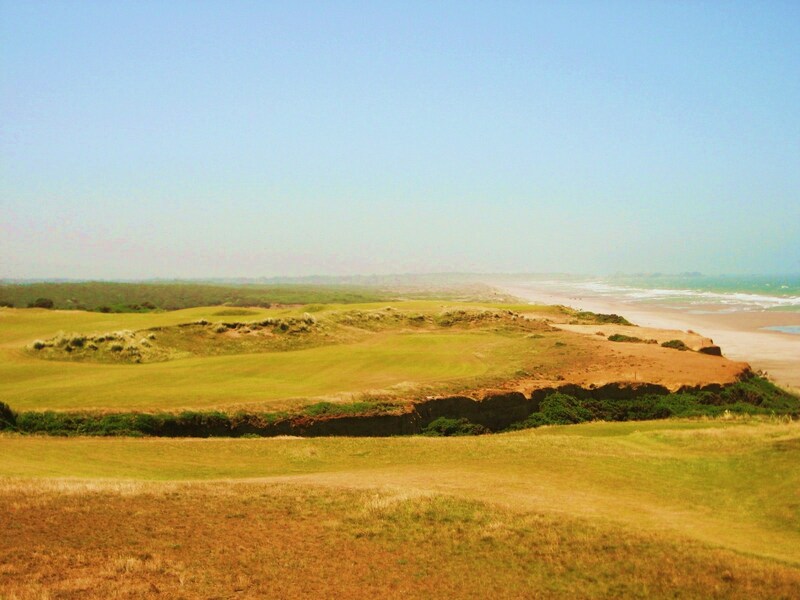 The strength of Bandon Dunes comes from Kidd’s excellent use of the ocean and several unique land forms to create a series of spectacular, if not all-world, holes such as the sixteenth pictured below. 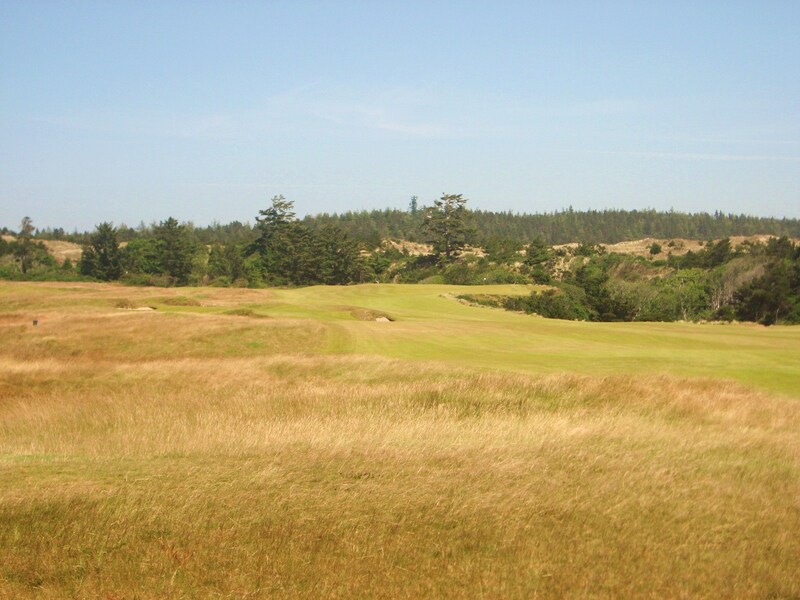 Bandon Dunes is a great walk over undulating terrain that does not present any significant climbs. With a caddie, the walk is even easier. 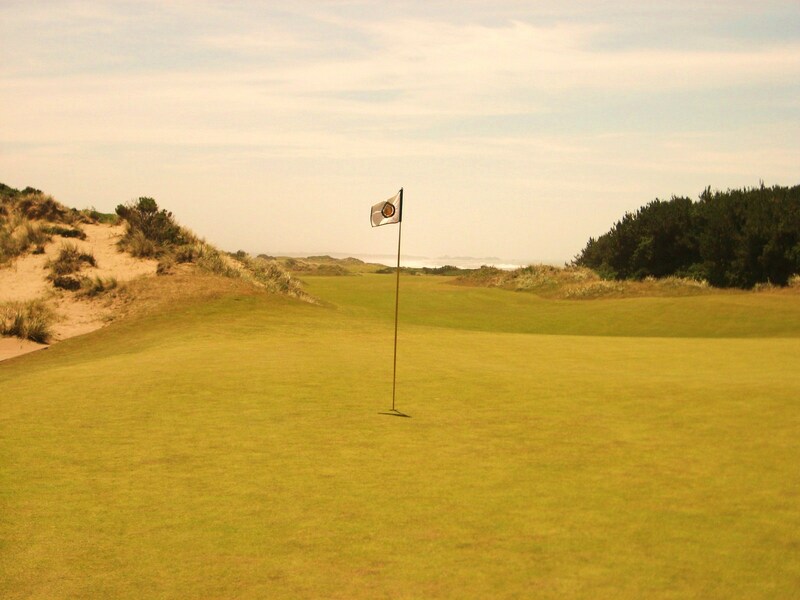 Thirty-six holes on Bandon Dunes or Pacific Dunes is a fairly easy task, even with heavy winds. 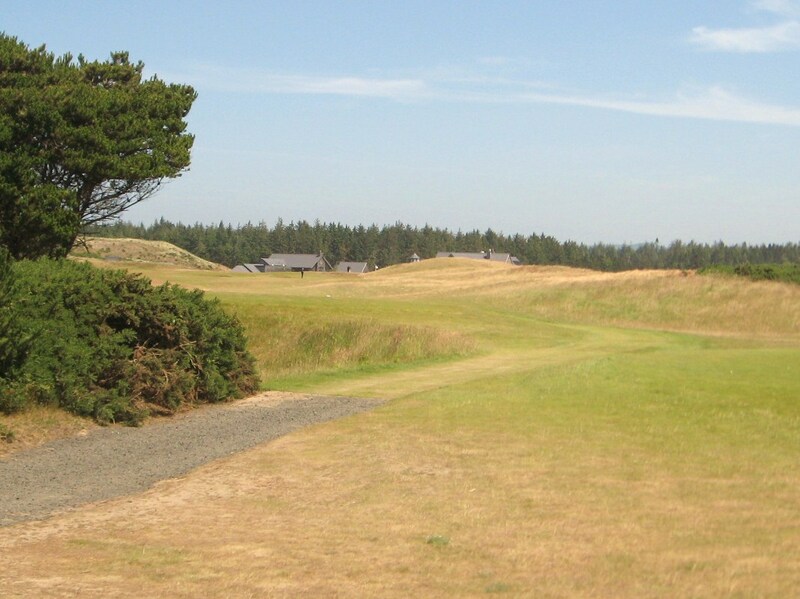 The conditions for our round at Bandon Dunes were sunny skies and 25 to 40 mph winds. It was breezy. 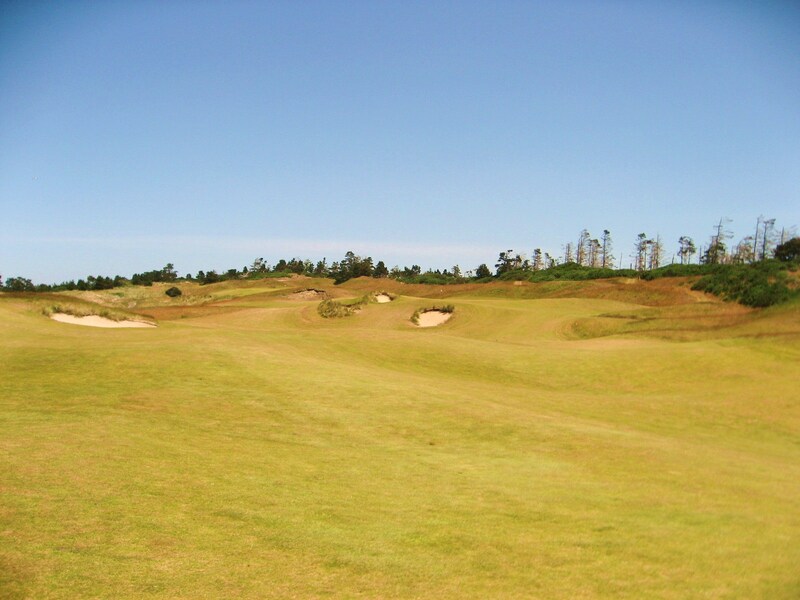 The first at Bandon Dunes is an excellent opening hole that doglegs sharply to the right off the tee. There is ample space to lash a driver into the wind and the farther you stay to the right, the shorter your approach in. 1st Tee at Bandon Dunes. The best play on the approach is usually to the right side of the green. Make sure you get it there because two gnarly bunkers and a hill await the short ball. 1st Approach at Bandon Dunes. A closer look at the spectacular fore bunkers that are located 55 yards and 40 yards from the center of the green. 1st Hole fore bunkers at Bandon Dunes. 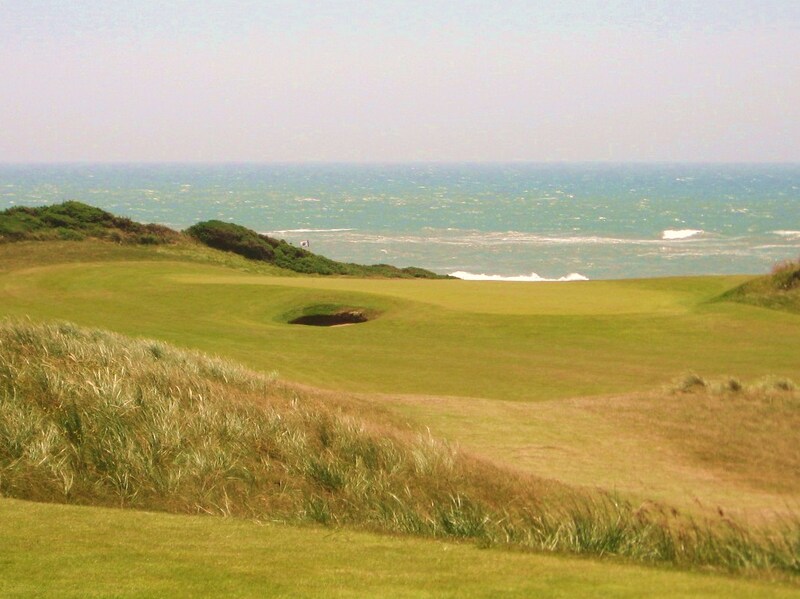 A look back from the green provides the golfer with his first glimpse of the ocean in the distance. Looking back from the 1st Green at Bandon Dunes. The second is a medium to long one shotter that plays uphill and often with a left to right wind. There are two pot bunkers to avoid, one short and one back left. 2nd Tee at Bandon Dunes. Pictures can never do justice to the undulating nature of a green, but some of the movement is visible below. 2nd Green at Bandon Dunes. The march to the ocean begins on the three shot third. A drive to the left side of the generous fairway will position you well for your approach to the green. 3rd Tee at Bandon Dunes. As the golfer drops down from the tee it is apparent that the fairway is ripe with movement which will produce some interesting lies. 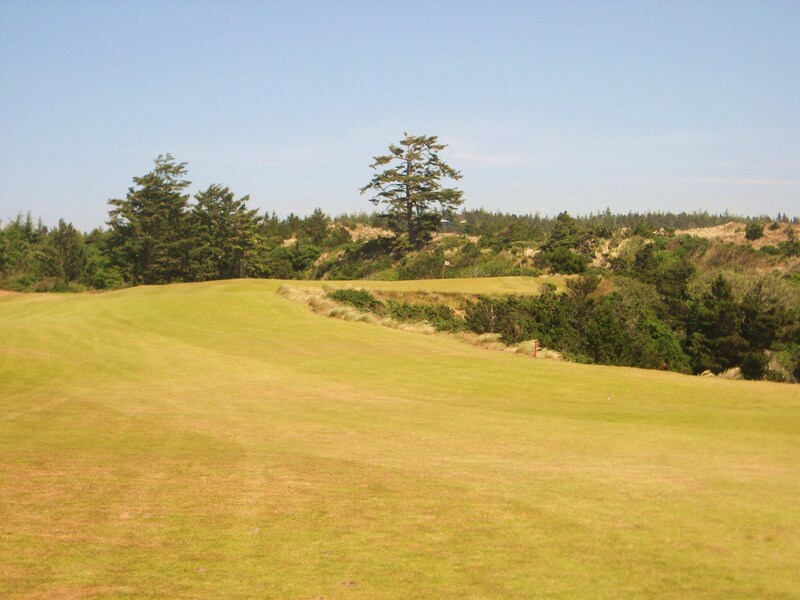 3rd Fairway at Bandon Dunes. 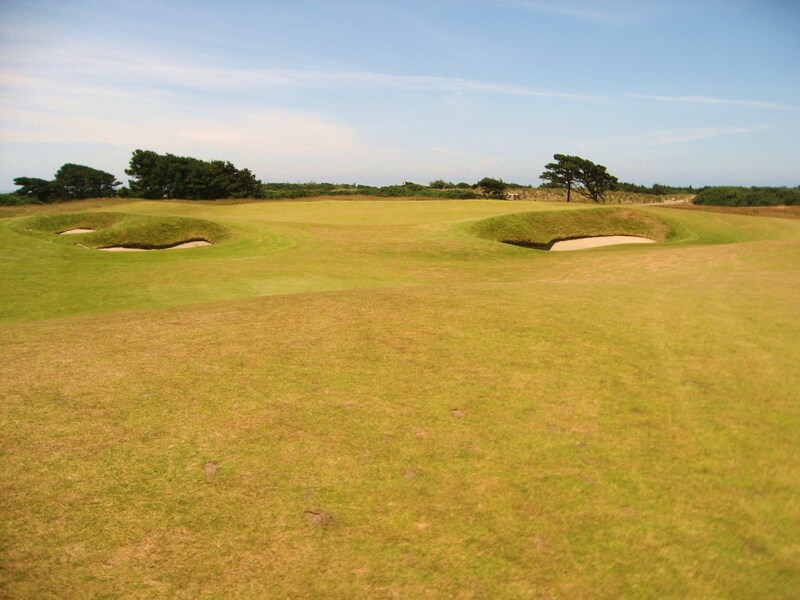 The green is protected by three bunkers on the front, which are obviously quite deep and have a traditional Scottish feel to them, although they are not riveted. There is room for an attempt at the green to get there, but it will be two good pokes. 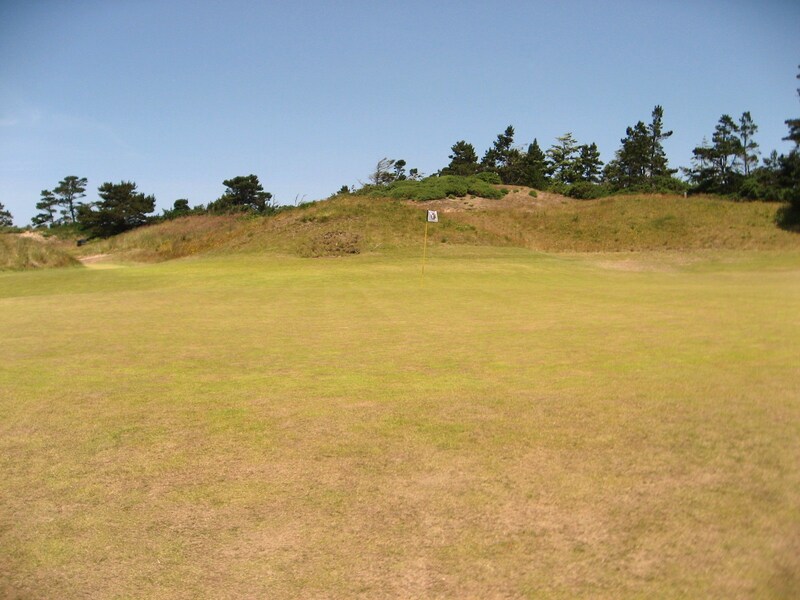 3rd Green at Bandon Dunes. From the back tees the drive is blind, but from farther up the golfer has a glimpse of the landing area. Depending on the wind, a fairway wood or iron may be optimal. The ocean appears to lie just over the dunes to the right. 4th Tee at Bandon Dunes. When you round the corner in the fairway, the ocean smacks you in the face as the architect intended. Favor the right side and run the ball onto the green. Anything long could run over the cliff. 4th Green at Bandon Dunes. 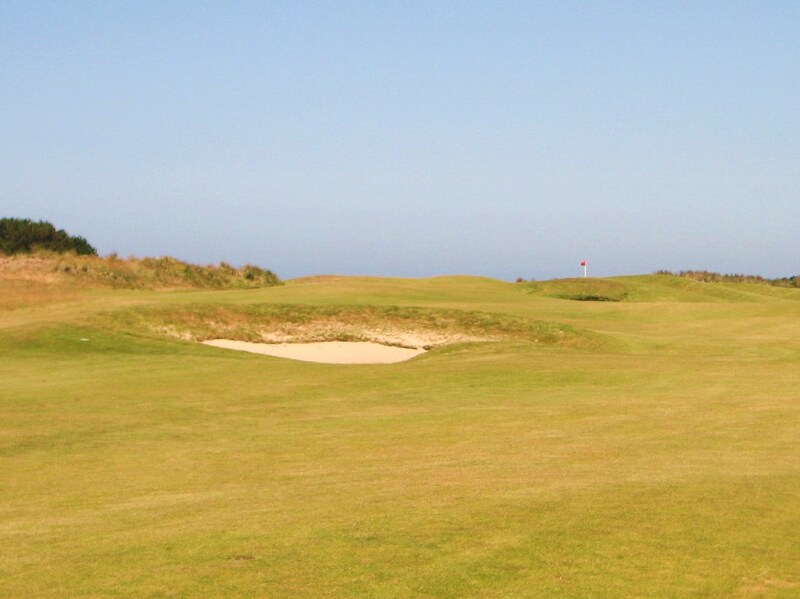 The fifth is another unique hole that probably cannot be found anywhere else in the world. The ocean is on the left, but a safe distance away, however, with the summer headwind the drive becomes very intimidating. A strong hit will carry the mounds and leave a long iron into the green. 5th Tee at Bandon Dunes. The view back from the green to the tees is spectacular. 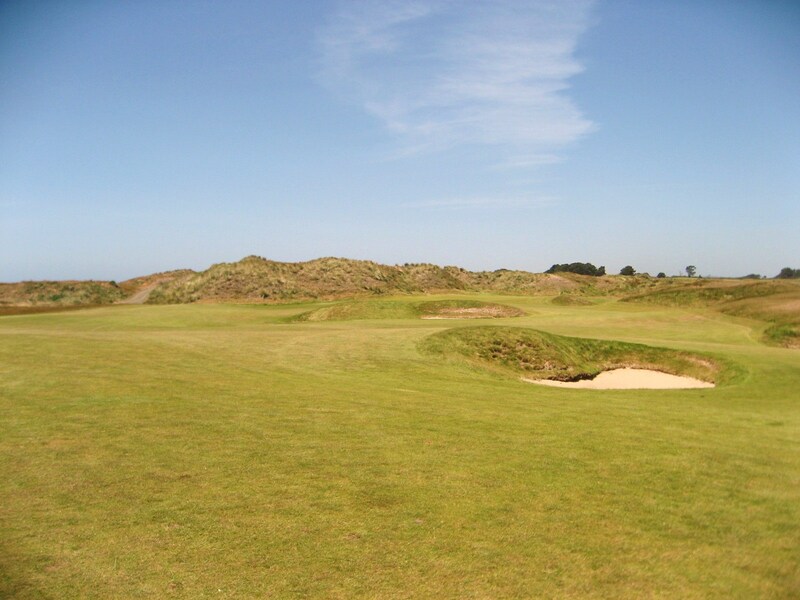 The gorse covered dunes on the left and right make a tunnel from about 130 yards. 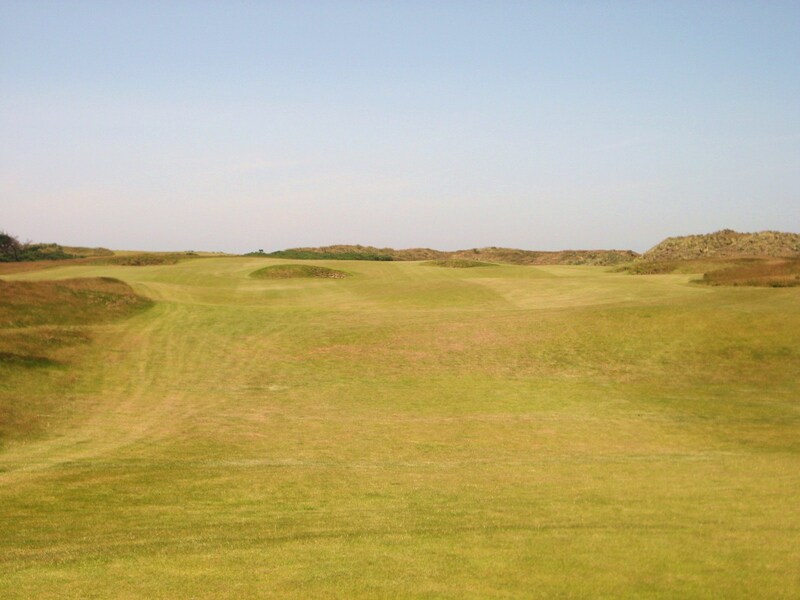 The green sits in an amphitheater with blow outs and bunkers on the right side (left in the photo) with long grass and gorse on the left. The sixth is another beautiful yet challenging hole. Anything on the putting surface should be a manageable two putt, but into the wind it is easy to miss short or right which leaves a tricky chip to get up and down. 6th Hole at Bandon Dunes. 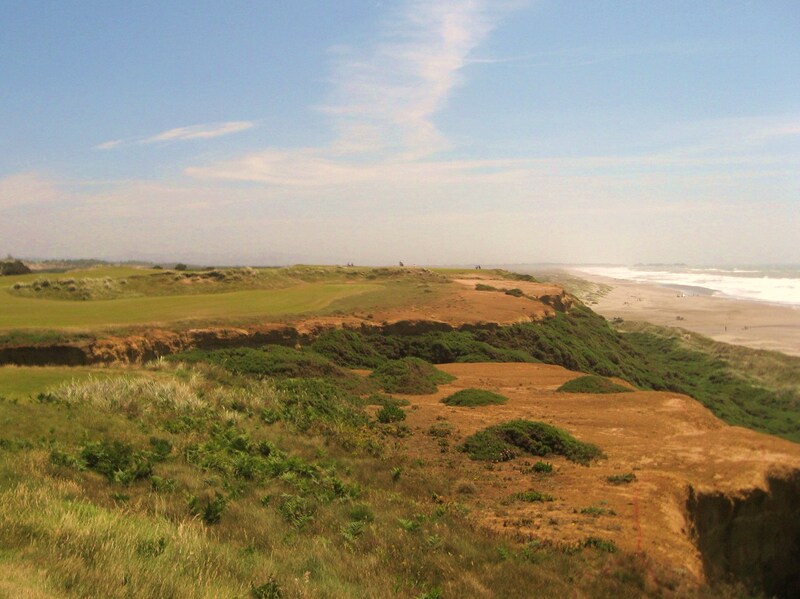 The string of brilliant holes along the ocean had to end sometime, so the seventh turns inland and the tee shot traverses a large sandy waste area. 7th Tee at Bandon Dunes. The approach to a heart-shaped uphill green often calls for an extra club. 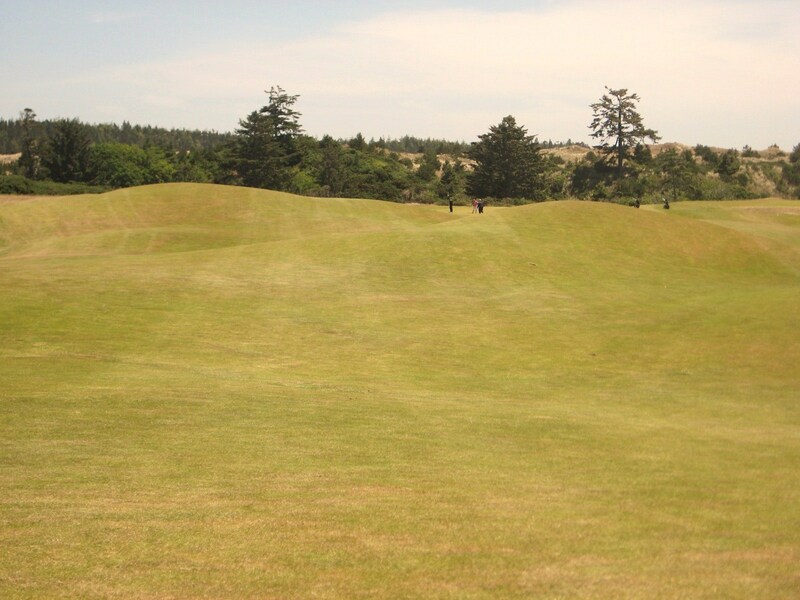 Approach to 7th Green at Bandon Dunes. 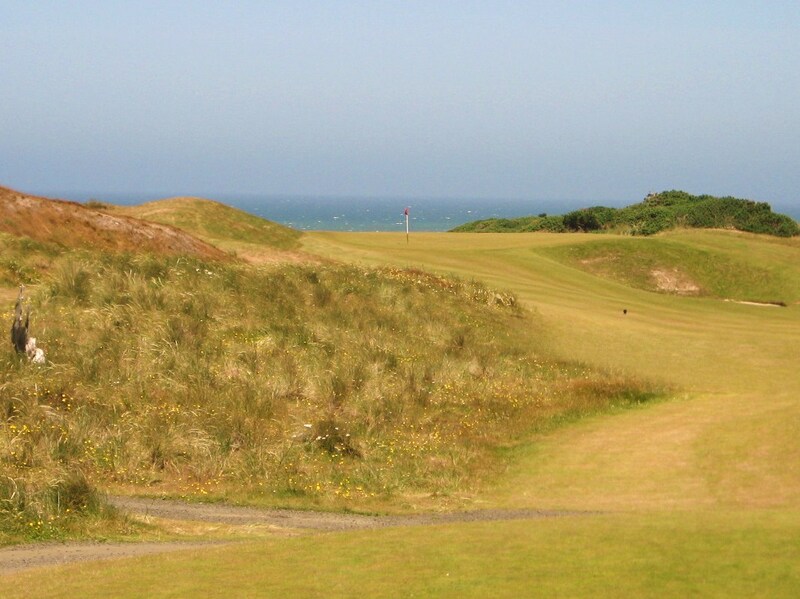 The two shot eighth plays rather short from an uphill tee back towards the ocean. If you can avoid the deep fairway bunkers, your approach will likely be with a short iron or wedge. 8th Tee at Bandon Dunes. If you manage to find one of the fairway bunkers, it is wise to blast out and take your chances at getting up and down from short of the green. Fairway bunker on the 8th at Bandon Dunes. The green is split by a tier, with the back higher than the front. If the pin is at the back you want to land the ball on the front and let it roll out. Anything landing deep on the green will go over. While the eighth is a great birdie hole, there is enough trouble around to put a dent in your score, or match. 8th Green at Bandon Dunes. 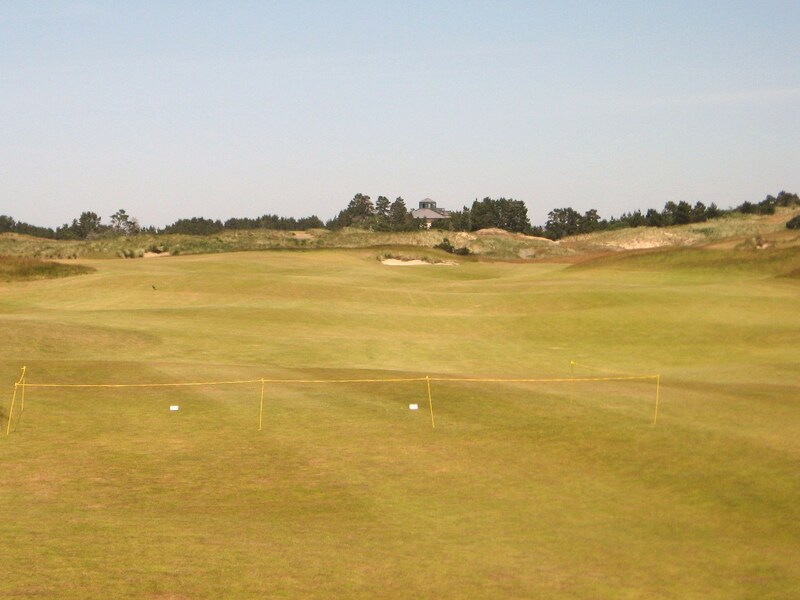 The three shot ninth at Bandon Dunes plays back towards the clubhouse. There are pot bunkers in the landing zone which must be avoided, so the right side of the fairway is usually the best play. 9th Tee at Bandon Dunes. A pull or hook off the tee could force a layup out of the bunkers which will leave a long iron to reach the green in regulation. 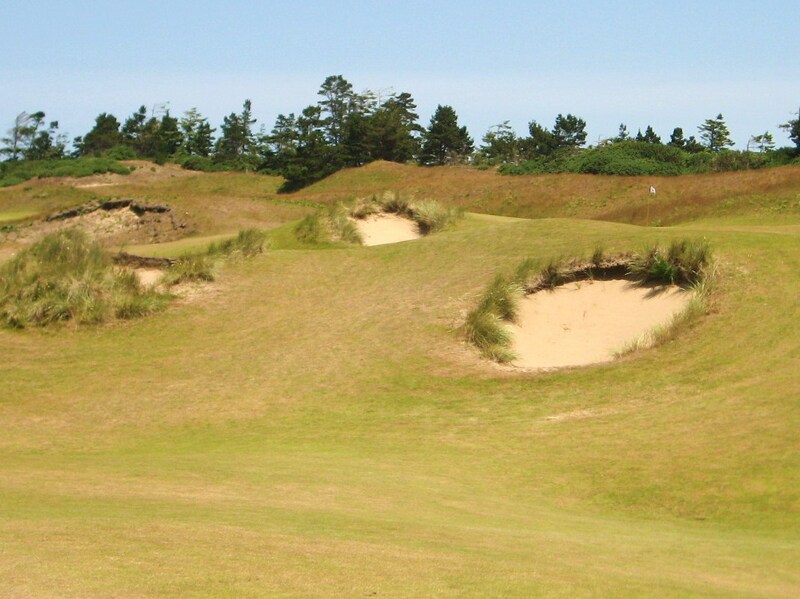 9th Fairway Bunkers at Bandon Dunes. A swale runs across the front and around the left side of the green so an accurate approach is important. Landing short and running it on via the right side can be a good option depending on pin placement. 9th Green at Bandon Dunes. 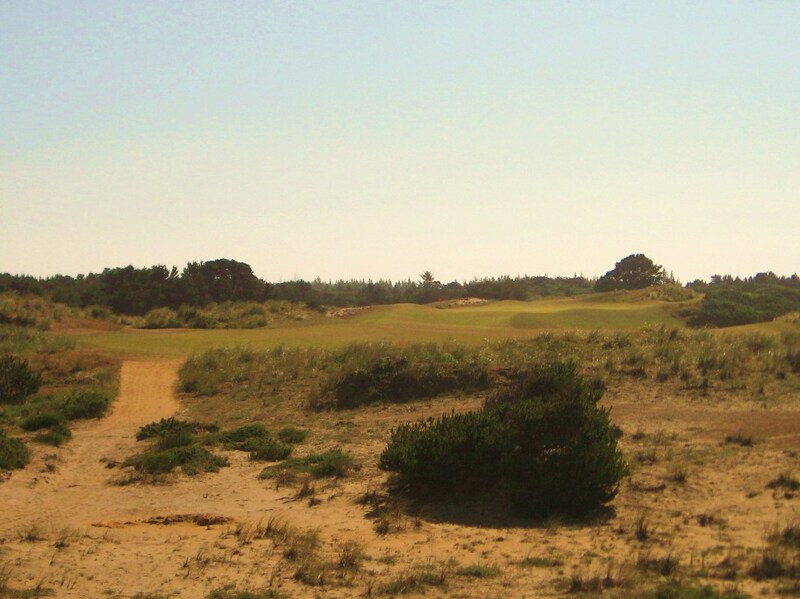 The tenth is a fairly original hole as the pin, seen below on the right side of the photo, is located behind a dune which makes it tough to see unless a drive is well placed on the left side of the fairway. This is not a long hole, but it can be tricky, as an over-clubbed approach can kick off the back of the green into the long grass. 10th Tee at Bandon Dunes. The two shot eleventh is one of the most challenging holes on the course because it is often into the wind and the green complex can be difficult to navigate. A good drive will stay to the right of the fairway bunkers, but a tee shot pulled left of them can provide an open approach to the green as opposed to a nervy shot over the large pot bunker. Fairway bunker on the 11th at Bandon Dunes. As seen in the photo below, a short approach leaves an uphill pitch, while anything to the left can leave a downhill chip. 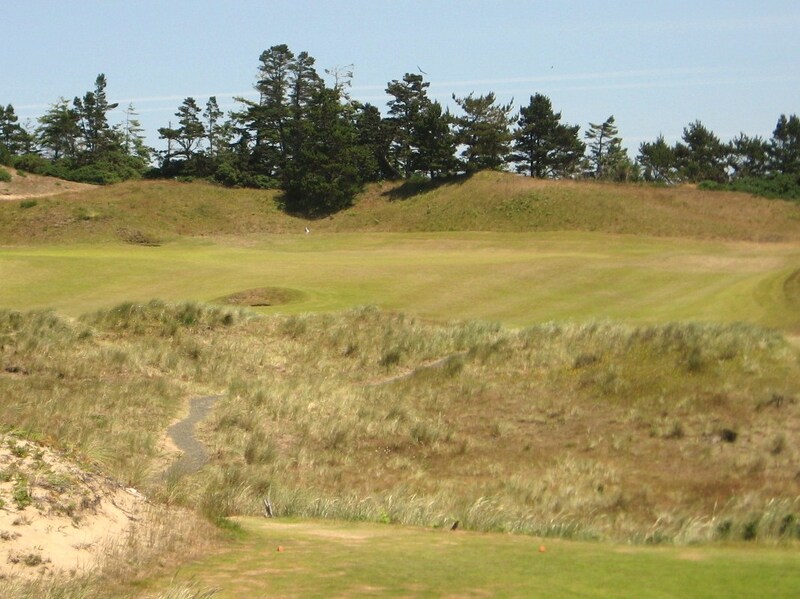 Short and right of the 11th Green at Bandon Dunes. The twelfth is another beautiful one shotter, quite similar to the sixth in terms of aesthetics. The pot bunker on the front left side of the green tends to dominate play. The safe approach will target the center of the green regardless of pin location. 12th Hole at Bandon Dunes. The par five thirteenth is certainly reachable in two, but the undulating fairway adds challenge to the proposition. 13th Tee at Bandon Dunes. 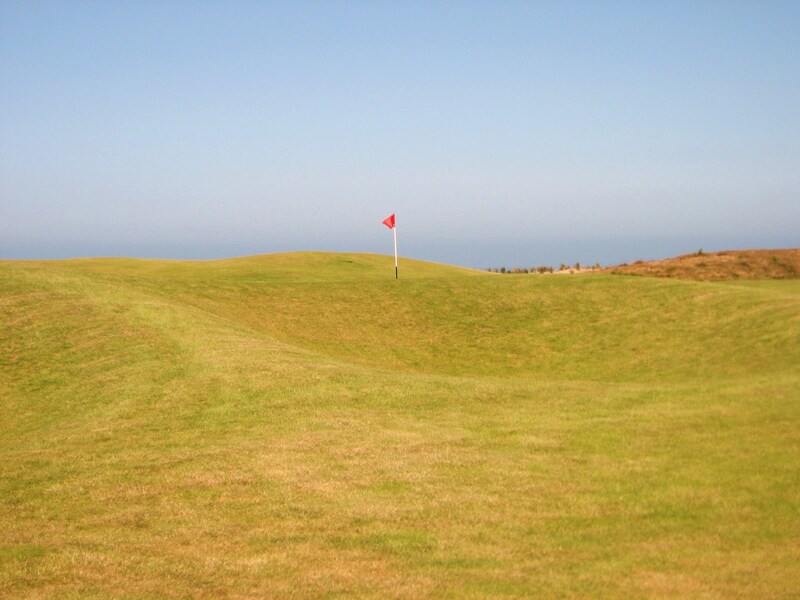 The fairway rolls like the ocean in the distance which can lead to awkward lies while also making it difficult to see the pin. 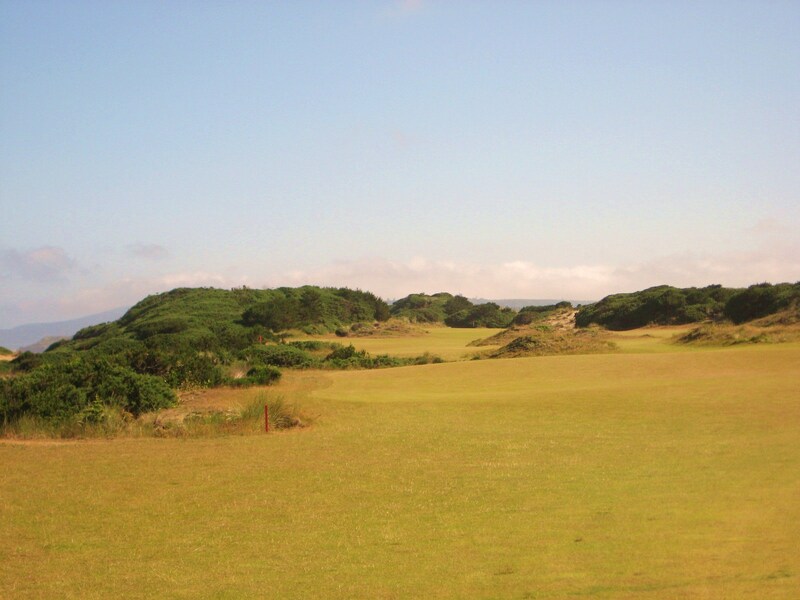 13th Fairway at Bandon Dunes. The green has a steep front on the right side while the left provides a bump and run opportunity. 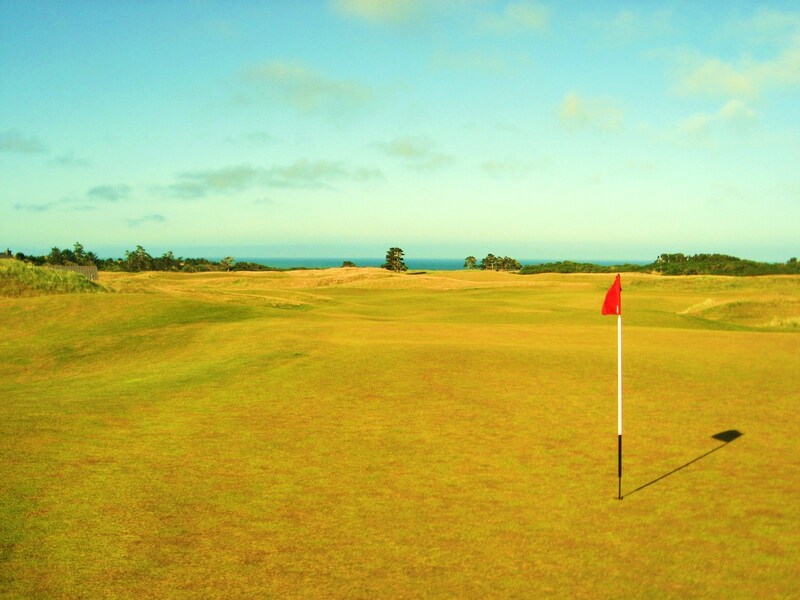 13th Green at Bandon Dunes. The two shot fourteenth is a fun little hole, especially with a blistering cross-wind off the tee that can turn into a strong head-wind into the green. Depending on the day, a driver to mid-iron at or left of the middle fairway bunker will provide a good line into the green which lies by the large mound at the right of the photo below. 14th Tee at Bandon Dunes. The bunker on the right side of the green must be avoided, while the large mound on the left may provide some help in directing slightly errant approaches back onto the putting surface. 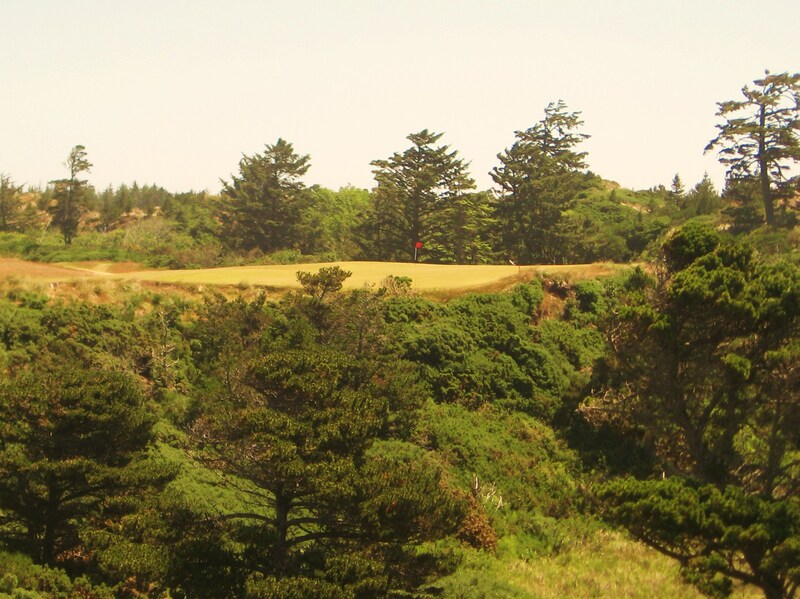 14th Approach at Bandon Dunes. 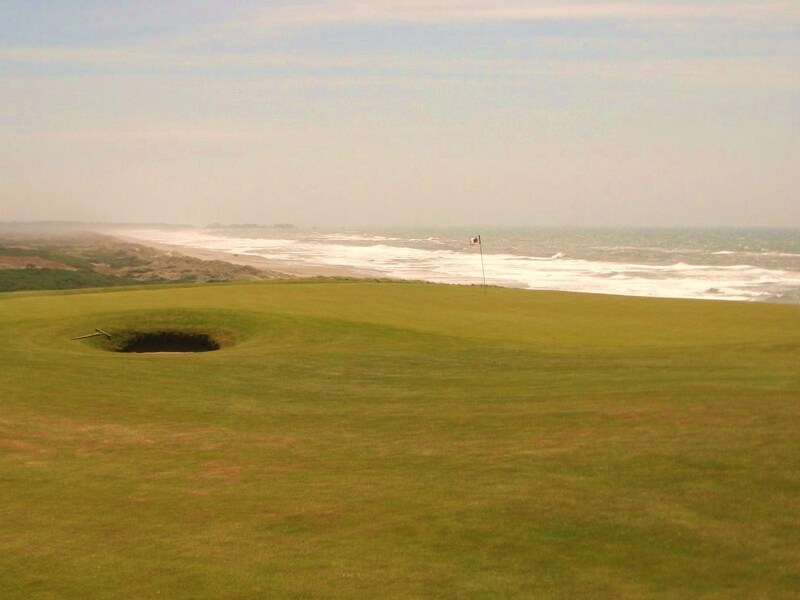 Fifteen is another scenic par three that provides a lovely ocean view. The yardage will probably be similar to the twelfth off the tee, although the green is protected by a bunker short right instead of mid left. 15th Tee at Bandon Dunes. Short is better than long on this hole as the green runs quite steeply off the back towards the gorse. The putting surface is large with some elements of undulation that can been seen in the photo below. 15th Green at Bandon Dunes. If sixteen does not get your adrenalin pumping then you need to find a new game. This hole is “all-world” and an absolute blast to play. During the summer it is down-wind which makes the green reachable for a big hitter. The safe play is over the ridge to the left which leaves a short iron into the green. This stunner is easily one of the best holes on the property. 16th Tee at Bandon Dunes. The view just short of the green is incredible. 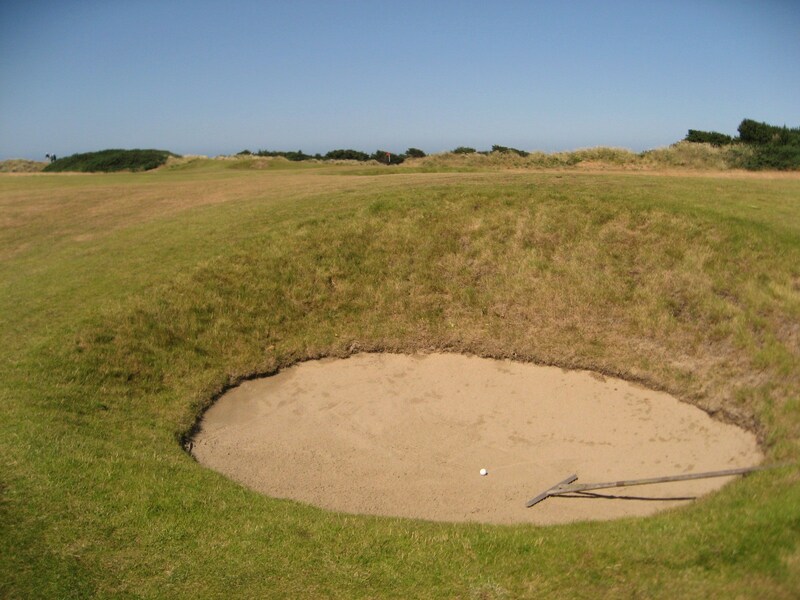 There is room to run the ball on, just make sure you avoid the little pot bunker. 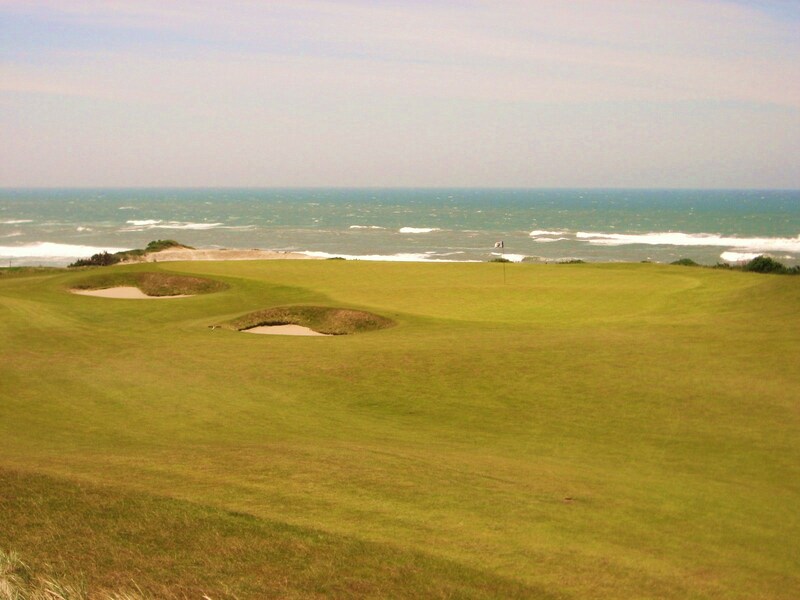 This is my favorite hole on the course, it is both breathtaking and challenging – “chapeau” Mr. Kidd. 16th Green at Bandon Dunes. Seventeen is a medium length par four that plays with a cross-wind for most of the summer. The architect used the available land well by positioning bunkers to the left off the tee while a huge chasm lurks on the right. 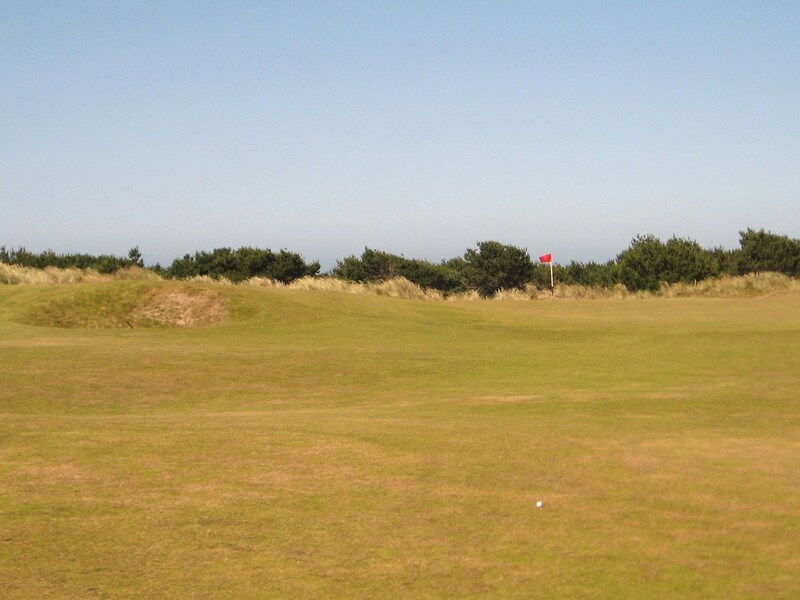 Left of the Tee on the 17th at Bandon Dunes. The approach must carry the gap, but the green is about sixty yards deep so it is safe to take an extra club to make sure you get it there. 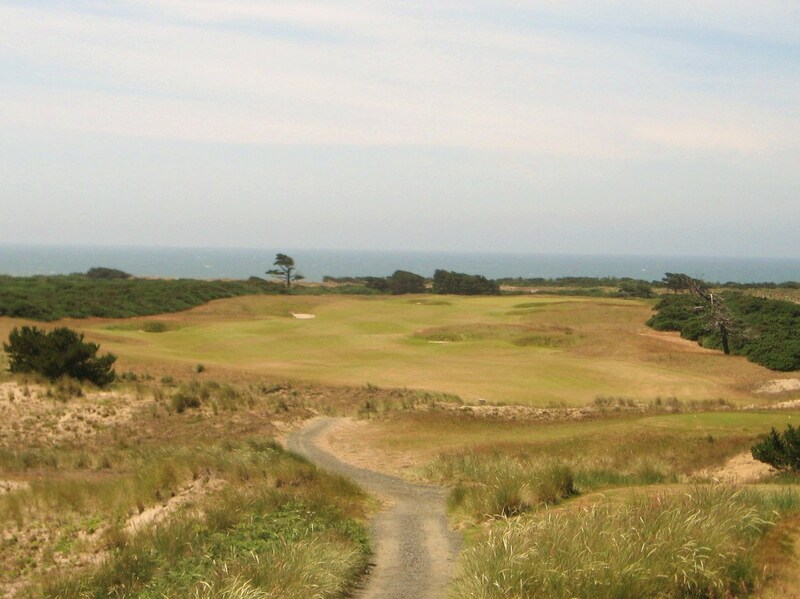 Approach to the 17th at Bandon Dunes. The photo below has been taken from the “Keiser Tees” which turn the hole into an epic one shotter across the chasm. Mr. Keiser clearly has a wonderful sense of adventure, as this is one of the most challenging shots on the course, especially late in a match. 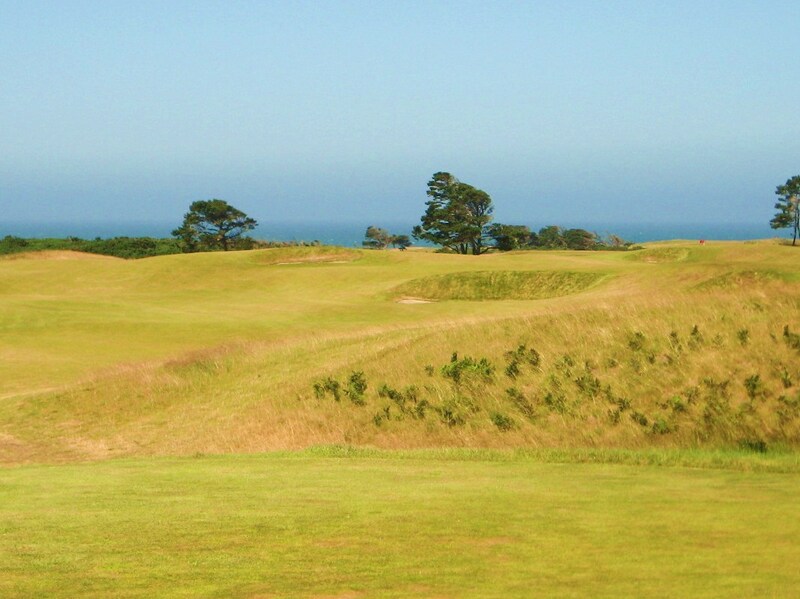 The “Keiser Tees” on the 17th at Bandon Dunes. 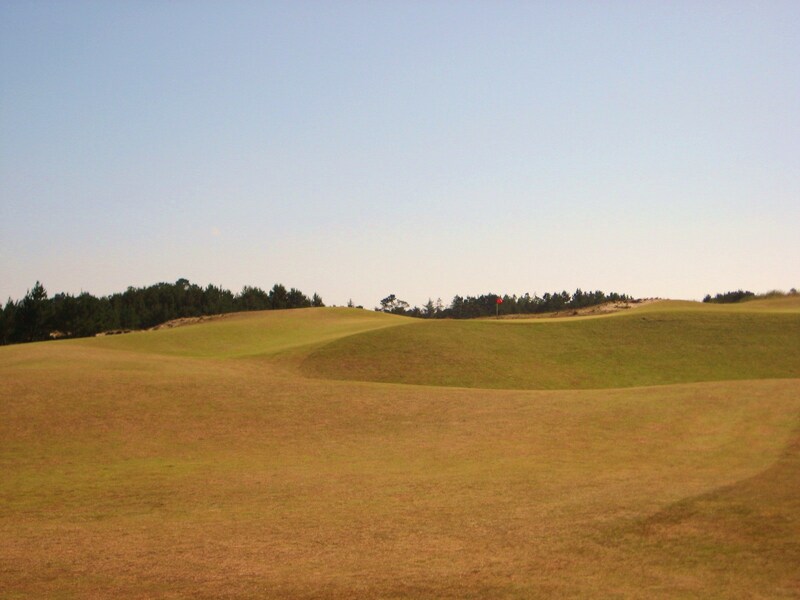 The Home hole at Bandon Dunes is a three shotter that plays back to the clubhouse in the distance. 18th Tee at Bandon Dunes. A good tee shot to the left or center of the fairway leaves a long but manageable second to the green in the distance. 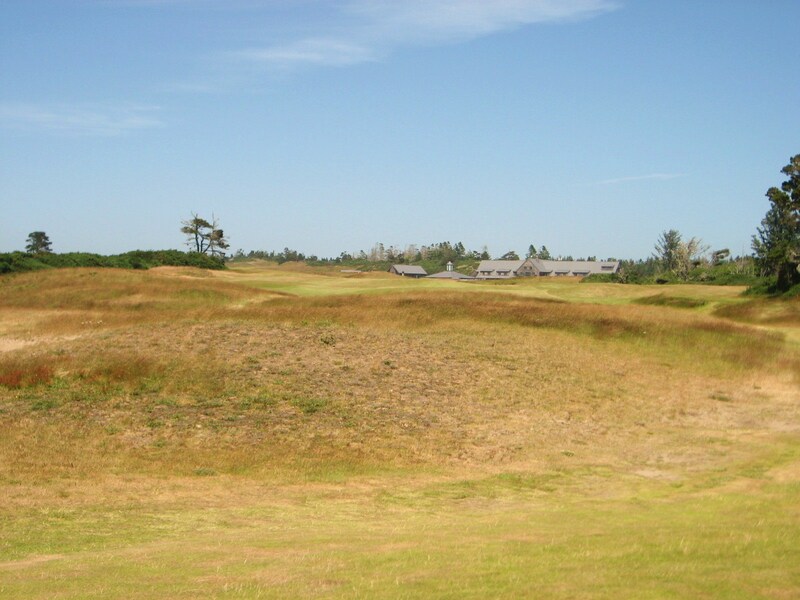 18th Fairway at Bandon Dunes. The left side of the green is open and provides a good location to run the ball on or bail out if necessary. There is a bunker mid-right that can and should be avoided to ensure a par on the final hole. 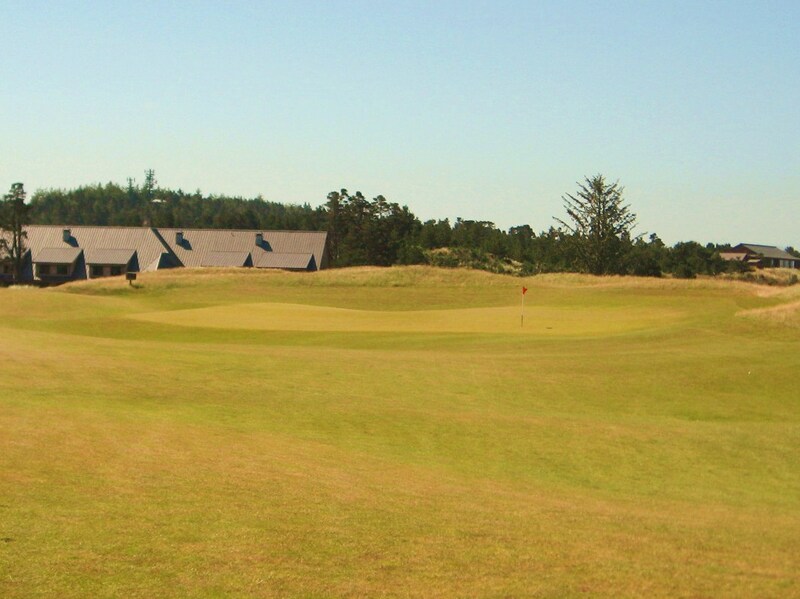 Approach to the 18th at Bandon Dunes. 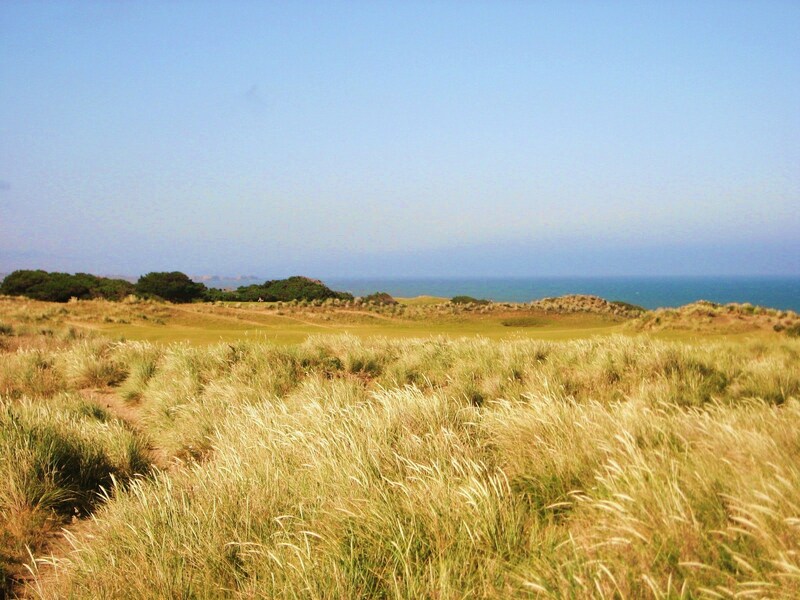 In terms of walkability, Bandon Dunes is a strong 3.75 out of 4. With or without a caddie, this is an pretty easy walk even on the windiest day. 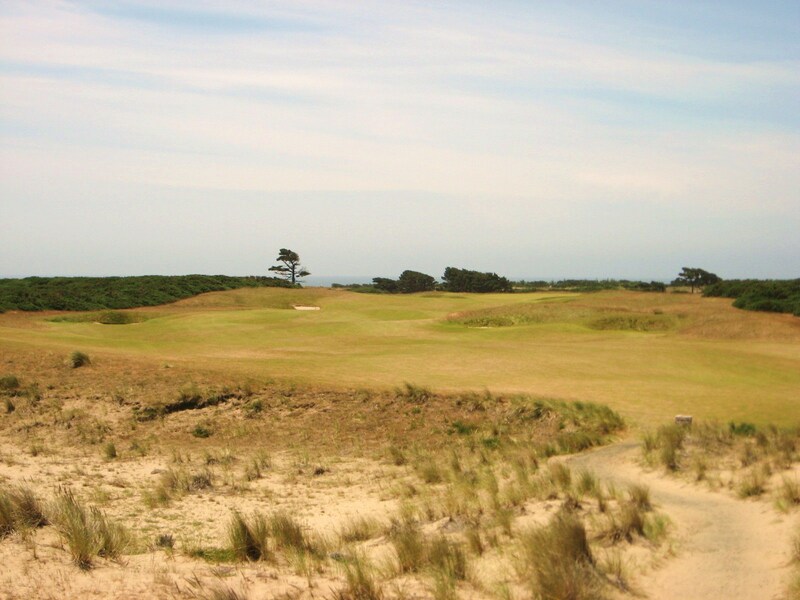 Bandon Dunes receives 3.75 out of 4 for Architecture and Aesthetics. 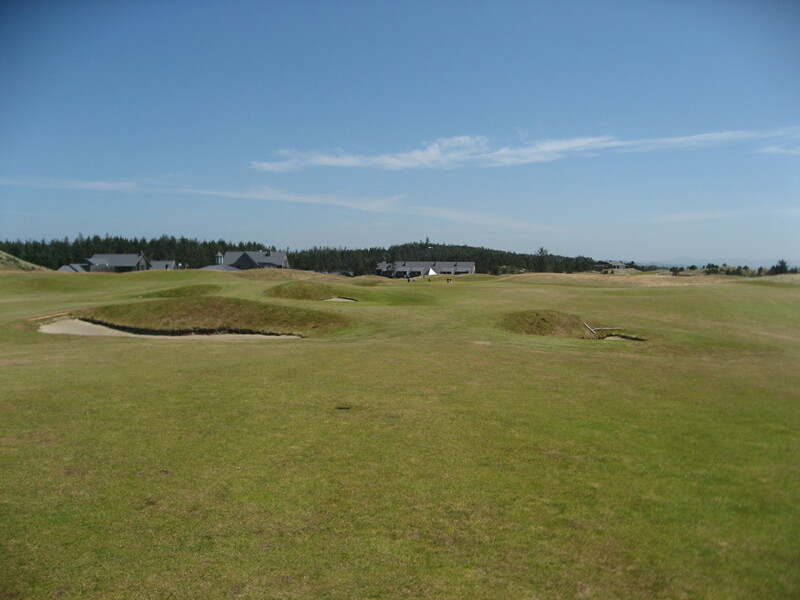 As the first course at the resort, it was important that Kidd and team built a course that was manageable for all abilities, while remaining spectacular and true to the links game. The aesthetics at Bandon Dunes are off the charts, as the ocean is literally in play on five of the eighteen holes. 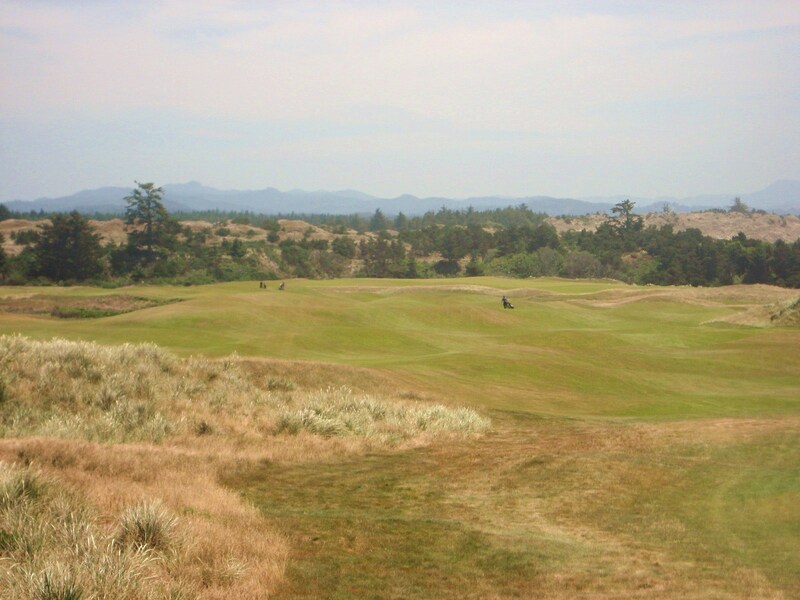 Of the three courses at the resort, Bandon Dunes is probably the most playable, especially from the appropriate tees. It is longer than Pacific Dunes and Bandon Trails, but also more open off the tee and around the greens. While you may play a round without losing a ball, it is difficult to score unless you employ an effective strategy. 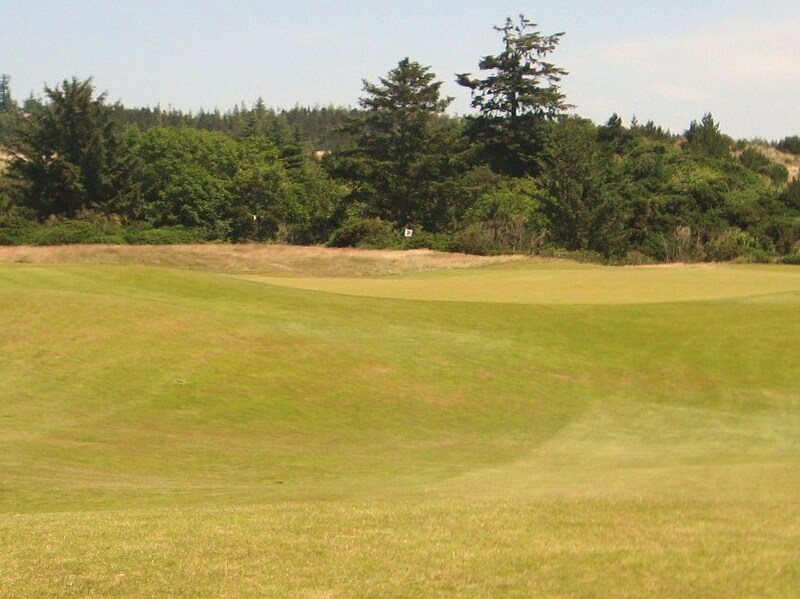 There is a reason that Bandon Dunes recently hosted the Oregon Amateur, it is a great course that thoroughly challenges every level of golfer. 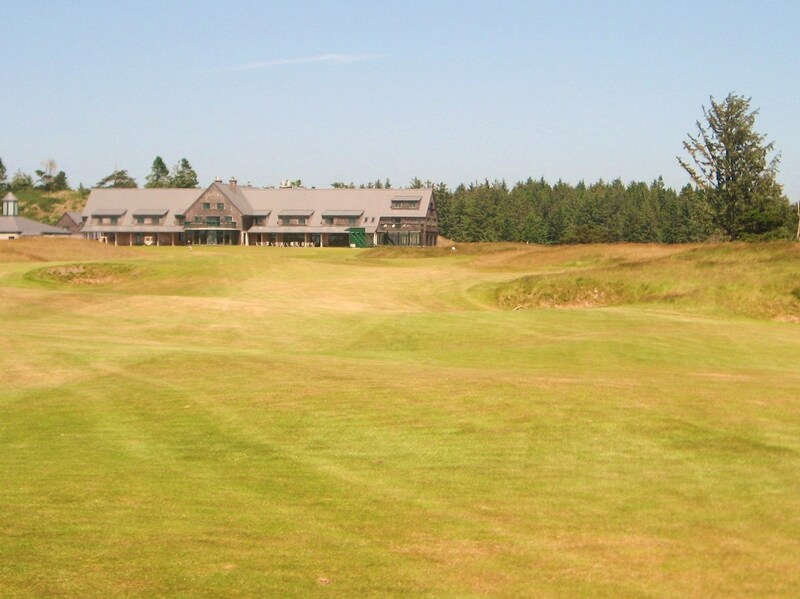 leaving for Bandon in 2 days. Glad to review the course and get some additional insight before playing. i have read with vigor all the notes on all the 18 holes and really found out that a) this is a great way to start this course and b) it is worthwhile to read all the notes as it is thourough. I also argee that i can’t wait to come there.